I lived at 2/437 New John Street West Hockley Birmingham B19 D/O/B 25/4/47. I went to St Chads schools Infants Brearley Street Juniors Shadwell Street Seniors Brearley Street. I stayed on to take GCE's. My memories are of fetching coal from Moorsom street and pushing that barrow laden with coal. 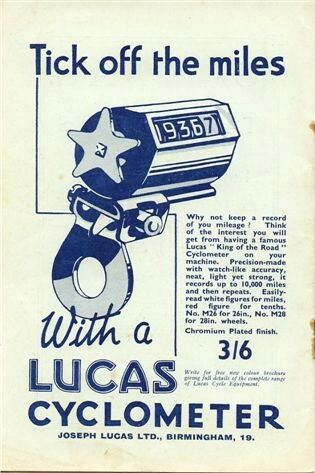 I remember taking Mr's Phillips radio accumulator up to Baines to be charged and getting three pence for doing it. I remember Allen's the Fish and Chip shop in Summer Lane. The sweet shop at the top of our street where it met Summer Lane. Harding's they sold HOT Vimto. On the opposite corner was the pie and cake shop and getting stale cakes for a penny. I remember being in a skiffle group and singing Cupid Stupid, and Dianna at the Havergal House in Hatchett Street. Going to the Newtown Palace picture house on a Saturday Afternoon to the Matinee and coming out smacking my own backside as if I was riding a horse. I remember Perry Pens factory. The man cycling down new John Street West selling the Argus on a Saturday evening. We also had a man on a bike selling "pints" of winkles. My first Job when I left school was at Gothic Electrical in Hospital Street. I worked in the buying office. I have worked for the last 20 odd years for BRMB Radio as a Sports Journalist/presenter. I also present the Capital Gold (BRMB's sister station on 1152 am) breakfast show playing songs from the 60s 70s and 80s. I also do all the football programmes on Capital Gold and BRMB providing live kick-by-kick commentaries on Villa Blues and West Brom. The Brittania Pub was at the top of the street and the White Horse pubs at the bottom. My mom and dad worked as barman and woman at various times. Playing marbles over the "bomb peck" Football down in Blews street park or Burbury street park for an "away" match. Walking down Miller Street to the bus depot. One thing that really sticks out was how quiet it was on a Sunday. You could play football in the street and not see a car for hours (not on the main roads but on streets like Hatchett Street etc. Sleeping 4 in a bed in the "attic" without any light because we had no "gas mantles" and fighting the bed bugs. The outside lav with the Mirror on the back of the door no soft toilet paper then. The Brewhouse where Mom did here Laundry on a Saturday Morning. Getting washed in cold water. Having a weekly or fortnightly bath in the tin bath in front of the fire. My legs getting redder by the minute as a I sat in front of the fire. (Health and Safety would have a fit now) And do you know what...I loved every single minute of it. I am proud of my upbringing. No keeping up with the Jones. I had my backside hanging out of my trousers...and had nothing but neither did anyone else so it was never a problem. Great days. Apart from the Nit nurse...and kneeling in front of my mom while she dragged a steel nit combed through my hair. It was agony. Sundays listening to 2 way family favourites. My dad being able to slice a Swiss roll into about 200 slices. And divide 6p of chips between 8 of us...brilliant and that why I love my parents to bits. Just how did they cope...but they always did.